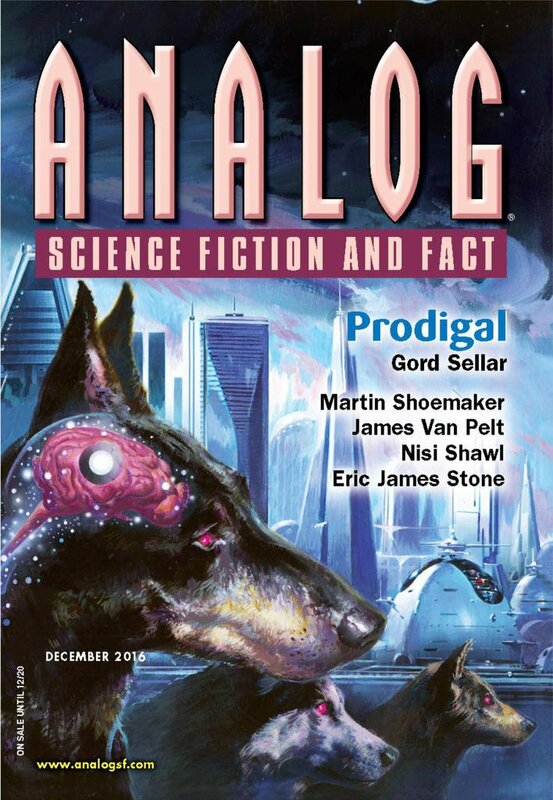 "In Boonker&apos;s Room," by Eliot Fintushel [bio] (edited by Trevor Quachri), appeared in Analog Science Fiction and Fact issue 12|16, published on October 27, 2016 by Penny Publications. Pro: It's a fun exploration of the question of why the physical constants in our universe seem to be so perfect, in the sense that small variations tend to generate very uninteresting universes. Con: Boonker is essentially God, and that makes for a very dull focus character. Saul is mildly interesting, but we really just watch him play the game for a bit. Boonker's physical modifications to Saul make his attempts to teach him the game seem almost pointless; with that much power, it's difficult to believe he cares what Saul does at all.